The picture and title will make sense in a few sentences. That’s my Dad on the left and me on the right at about age 9. We caught those stripers at Santee Cooper, SC where we met my Dad’s Dad, and my Pop each Spring. There are days when it seems as though you can do nothing right. Days that seem to go on for weeks, and drain the life from you. And, some days leave you flushed with pride and joy as you accomplished or completed something extraordinary. And then there are the days when you have to make difficult choices about people, processes, ideals, character and conviction. I recall my Dad taking me to my first Major League ballgame at Yankee Stadium. I was about 9 years old, and I loved the Boston Red Sox. I wanted to be like Carl “Yaz”Yastrzemski, the left fielder for the Sox. So dad lets me travel on a trip he took to New York, and that night was magical. But a few guys, about 30 years old had a few too many cold ones and started popping off with foul language toward my Red Sox hat. My Dad stood up, turned around and said: “that’s enough boys. Either shut up and enjoy the game or it’s gonna get interesting.” I knew by the look in my Dad’s eyes that he was about to be tearing up some Yankee fans, but they apologized sat down and even bought me a Coke. His lesson to me that night – Sometimes you stand your ground. And then I watched my Dad, years later take a verbal beating as he defended a fellow staff member in a church business meeting argument. Dad was gracious, kind, even-tempered, and calm. He took on every angry comment. He took every verbal bullet. His lesson to me that night – Sometimes you are the better leader when taking the shots by staying on the high road. And then in the latter days of my Dad’s life, he was always the pastor that was called on to help someone’s marriage or help bail somebody’s kid out of jail. He was the guy that gave way to younger leaders, even though he was well capable of leading the charge. I watched my dad preach in the tiniest of churches and watched him when he could have picked any church in America to lead. But Dad was happy putting on his overalls and leading Summer Day Camps and leading little ones to Christ. Dad taught me this lesson, as well – Sometimes the very best way to live this life is by assuming the lowest position on the organizational chart. Stand your ground when your convictions are under attack! Take the high road for the people you love and shepherd! Assume for yourself the lowest position as a servant, always! Thanks, Dad! That sounds like a lifetime of learning as I saw you sit at the feet of The Savior day after day after day. You weren’t perfect, and Lord knows I’m not either, but thank you for teaching me all the things the Savior taught you. I still miss you after all these years. 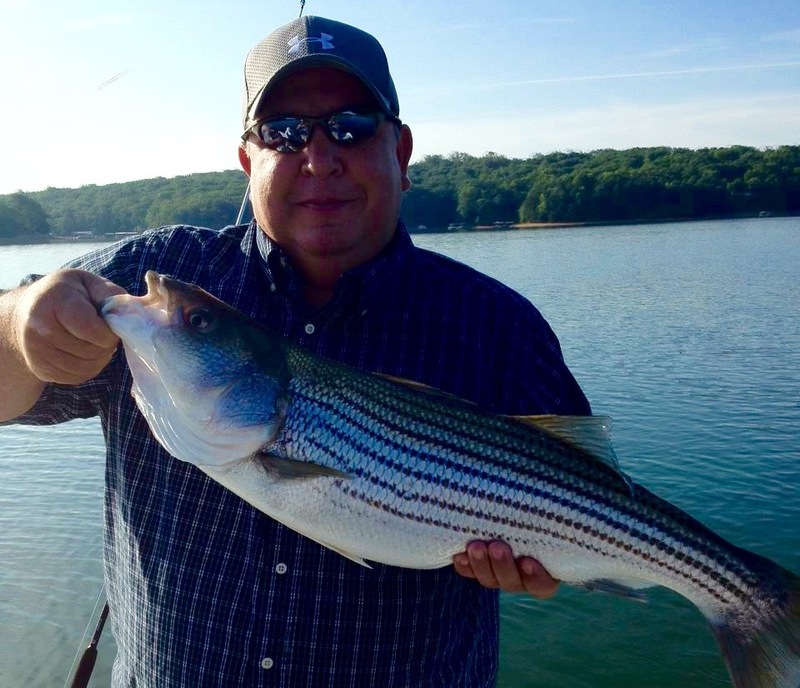 See you on the lake in Glory as we catch striped bass all eternity long.